The priceless gemstone, the Buruj, was rumoured to be cursed — death was the inevitable fate of anyone possessing it. But Private Eye Zafirah didn’t believe in curses. Zafirah crumpled his calling card into her pocket. She had deciphered his code too easily. Bridge, Buruj, really? That bloody thief was up to something. But seeing no one by the bridge, she limped towards a bench, leaning heavily on her forearm crutch with each step. But she stopped short, glaring at a large tree ahead. Under the dim park light, long shadows had wrapped themselves around its trunk. One in particular had moved slightly. Without hesitation, she wielded her crutch like a sword, driving it straight into the tree. But her metal rod hit only wood when the shadow leapt out in time. She pulled out her crutch with an effort. A hole was bored into it. “Time out, time out!” exclaimed the dark figure, distancing himself quickly from her. The notorious thief pushed off his grinning white mask. Under it, a tanned handsome face smiled back at her. His dimples made him appear boyish despite the shadow of a beard on his strong jaws. When she glared, the playful smile faltered. Yet just as determined, the thief held her gaze, his soft dark eyes revealing too much of his heart. “I need your help, Zafirah.” He approached her cautiously. With a sigh, Zafirah settled on the bench. As she put aside her crutch, one end of her hijab came loose. Quickly, she pinned it to its rightful place, once more fully wrapped, once more safe from the cold evening and from his blunt emotions. “If you must know, I was requested to steal the Buruj for a good reason." The thief sat beside her, deliberately too close to her. When there was no reaction from his bold move, he dared further by capturing her hands into his large gloved ones. She frowned. Why tomorrow? If it was so dire, why didn’t his client ask for her help instead? “I love it when you’re thinking so hard.” He held her gaze once more then let go gently. 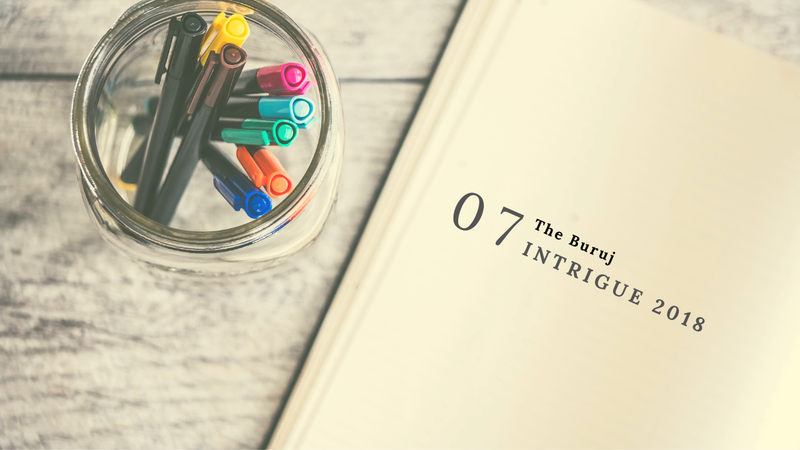 The stolen Buruj laid warm on her palm, scalding her with his heat. The warmth rose to her cheeks. “So steal the stone then return it once the cursed time is over?” She wondered. “I’ll bring you to jail then,” she concluded for him, gripping the precious stone tightly. With a parting nod, he slipped back behind his facade, once more the infamous White Mask. He disappeared into the night, a slick figure never easily captured. Zafirah slipped the precious stone into her pocket. She pinched the bridge of her nose. Another sleepless night in her dark flat. Only the hurried clicks and scrolling of her mouse disrupted her peaceful sanctuary. On her large monitor, every article and video clip featured the tragic deaths of the wealthy Shukur family, rightful owners to the Buruj. The only one left was the youngest child, Farhain. Being sentimental, the thirteen-year-old had worn the small stone as a pendant, needing it to be close to her heart, close to the memories of her family. Her only kin now was her loving Aunt Sakinah. Details on the Buruj, however, was limited. Known as the only one in the world, its rarity immediately sparked such mad excitement amongst jewellers and the wealthy who were willing to offer high prices to possess it. At the Aunt's insistence, the Buruj even boasted its magnificence in many extravagant exhibitions, catapulting the Shukurs to instant fame and riches. Not even once had it been stolen — until its return to Singapore. Under her desk lamp, Zafirah twirled the rare stone around. Despite being as black as coal, the Buruj sparkled intensely with the light, making the rays dance between her fingers, putting any diamond to shame. But why would someone die tomorrow because of such beauty? “Are you possessed by a Jinn?” She placed it on her palm, amused. She slouched further into her chair. Her tired gaze fell on a sliver of light between her curtains. Pulling them aside, she let the moon announce itself into her room. It was huge tonight, hovering quietly against a dark sky. The stars were always hidden behind massive clouds and high blocks of flats. The moon was by its proud lonesome self like her. Only tomorrow could it show off its full glory, becoming the mega star like the black precious stone. She frowned at the absurdity of the theories concocted rapidly within her. Surely, they were pure nonsense due to sleepless fatigue. But then again, when had she ever been wrong? Carefully, Zafirah moved her palm to the window, bathing the black precious stone in moonlight. And the magic of the Buruj exploded before her. Sleep was definitely not coming. Not when she sat in the living room of the Shukurs' penthouse the very next night. Its clear windows surrounded her with a spectacular view of the full moon on the high floor. Three people sat in full view before her - the young heiress, her Aunt Sakinah and their male assistant. Aunt Sakinah was an elegant woman in her forties with soft, fresh make-up and chestnut brown dyed hair, pulled to a bun with a long sharp hairpin. Immaculate jewel rings embraced every finger while sparkling diamond bracelets clasped her slim wrists carefully. More diamonds glittered as they hung precariously from her earlobes. All clear signs of the Shukurs' wealth. But her neck was empty of any twinkle. She brushed aside a lose strand of hair from it. “Where is it, Miss Zafirah? My niece has been very anxious. So have I.” A gentle voice to a gentle soul. Zafirah opened her hand, revealing the stone. An audible gasp came from the young heiress despite covering her mouth to hide it. Then looking away, she touched her neck with a trembling hand, trying her best to hide her thin gold necklace with an empty pendant, clearly missing the Buruj within its brackets. Zafirah, however, didn't miss the fearful shaking of her head, denying the return of her family's stone. She also didn't miss the sudden tensed posture of the male assistant. Her Aunt, however, noticed nothing. Zafirah pulled away and smiled. The woman flushed in confusion. When darkness finally fell upon them, Zafirah placed the Buruj on the coffee table. Then carefully, she slid it forward to where the moonlight was at its brightest. Instantly, the entire penthouse burst into numerous constellations of stars, buzzing and twinkling like delicate fairy lights. The entire night sky was brought down to them. “They're still the same! Oh, such beautiful glitters from the sky!” The older woman laughed. Excited and no longer as composed as before, she rushed towards the brightest stars, picking them easily onto her palm. The stars sparkled down her wrist like glitter dust as she overwhelmed herself with more. “Oh, oh, they always tingle my skin!” She cried, twirling and hopping around to pick more, forgetting herself entirely. “Did you know about this, Farhain?” whispered Zafirah, no longer smiling. Under the dazzling night sky, amidst the excited giggles of her Aunt, the child shook her head timidly, tears falling fast down her cheeks. That was enough to confirm it all for the private detective. She heaved herself up with her crutch. Then leaning heavily on it, Zafirah reached towards several stars, surprising the older woman to a stillness. The entire huge living space burst into a gruesome display of fireworks. So shrilling and chilling were the screams that they had to cover their ears. Yet no one could look away at the glaring bursts of horror above them. One after another, the stars were replaced with vibrant crimson images of the tragic deaths of the Shukur family. All from the murderer's point of view. With a wave of her hand, Zafirah muted the horrifying screams. Yet the cruel scenes remained clear, looping for everyone to never miss the details. The room was dead still. Zafirah stopped before the tensed male figure. And a lone star glittered quietly. The image blew up wide above them. Before a mirror, the murderer hummed sweetly to herself, blood staining her face, her neck, her hands. She twirled the precious Buruj lovingly between her fingers, much in admiration of herself. Then she pulled up her dark hair into a bun, pinning it down with her bloodstained hairpin. Her smiling face clearly displayed while in the background Mr. Shukur sprawled lifeless in his own blood on the carpet. And the real Madam Sakinah stood pale and rigid, glittering hands shaking uncontrollably. “I'm - I'm sorry, Farhain.” She pleaded, approaching her niece. “I didn't mean to hurt anyone. The stone, yes, the stone must have possessed me with madness. Will - will you forgive me?” She faltered but held herself in time against a wall, weak with her confession. But Zafirah knew better. She reacted instantly when the older woman suddenly lunged forward. She shielded the young heiress with her crutch, the metal rod holding off the long sharp hairpin that came close to her face. But the deranged woman was stubborn. With another hysterical scream, she slashed Zafirah's arm, splattering blood onto herself, wanting to stab some more. But the male assistant struck her hard in time, casting her lethal hairpin away. Quickly, he pinned her down to the floor with a knee. Beneath him, she struggled hard, eyes wild with rage, screaming away the Shukurs' sins. Never her fault, not an ounce of regret, even when the police took her away. Instead regret overwhelmed Zafirah now as she embraced the child tightly. The small teen shook badly in her arms, sobbing hard into her shoulder. The poor girl didn't need to see her family's deaths. She didn't need to see her only kin's madness. But sometimes, the detective would forget herself. So overwhelmed by rage for the sins of murderers, she would push them to face their crimes there and then, forgetting that the remaining loved ones were still suffering. Yet Zafirah couldn't express her regret as she was gently pulled away. A towel was then quickly wound tight around her bleeding arm, staining it immediately, staining too the long fingers that helped her rest against a cushion. She winced as the injury finally swamped her with pain. “We need to get you to the hospital,” whispered the male assistant. Being this close now, she could finally see him. He had always turned away whenever she caught his gaze. Neatly dressed and clean-shaven with slim pale features, he didn't seem fit to be a bodyguard. More of a man bound to his desk. So his actions earlier would have seemed commendable. But his soft dark eyes gave away too much concern under his thick glasses. Zafirah smiled softly, surprising him. After all, it was a mere scratch on her arm, albeit a long deep one needing several stitches. Still, the disguised thief had fussed over her, telling the paramedics her entire medical history, from her rigid left leg to her allergies. Then she drifted on and off with the painkillers, wondering if he'd carried her when they said she could heal at home. Zafirah covered her yawn as she nestled deeper into her blanket. She didn't miss the shadow in the corner of her dimly lit room. The White Mask slipped out from the shadows. Quietly, he placed a chair by the door and sat there. She couldn't see him. Nor could he see her without her hijab. “The young heiress left a nice sum in your bank account. She's grateful for your help.” He spoke. “I didn't do anything. Merely put things together. How is Farhain?” She peered under her blanket, looking out into the darkness. “It was a secret invention by her late father. He was a physicist,” remarked Zafirah. “Yeah, his colleagues mentioned his family was his inspiration. The Shukurs had a profound love for the stars so he wanted to bring their love closer. Of course, things got messy. But, wow, to also have that small thing records in 4K, that man was a genius.” He chuckled. Zafirah sat up slightly. His back was towards her. “And where is the Buruj now, Mansoor?” She asked, reaching for her crutch. Back still towards her, the allusive thief stood up then, the crutch in his hand. He placed it carefully by the foot of her bed, just slightly away from her reach. Then glancing over his shoulder, he wiggled a finger to her. “No, no, I've already told you. I don't return what I've stolen. Since that mad woman is going to be hanged, they no longer need the Buruj as evidence. This is mine to keep. And my client didn't want it back either. Too much sad memories, she said." “It's safer in here.” He patted his breast pocket in victory. A thick hard book slammed right into a wall, right beside his head. He froze, watching it drop with a loud thud. “Hey, you really need to stop doing that!” He turned around, pulling off his mask. And Zafirah hid deep beneath her blanket. She cared little when her door eventually closed with a soft farewell. Sleep was all she cared for now.